The Steelie Vent Mount Kit is a brilliant solution for keeping your smartphone secure and visible when you&apos;re in the car - any car. 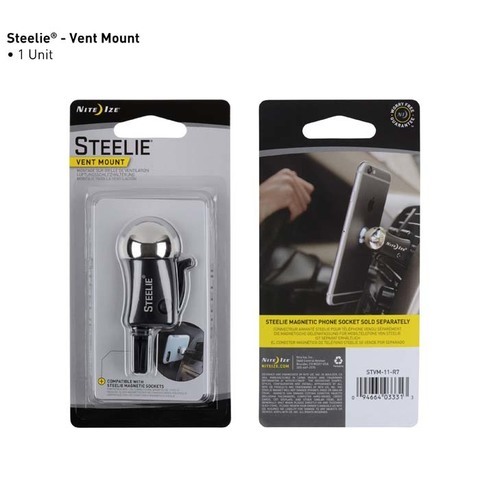 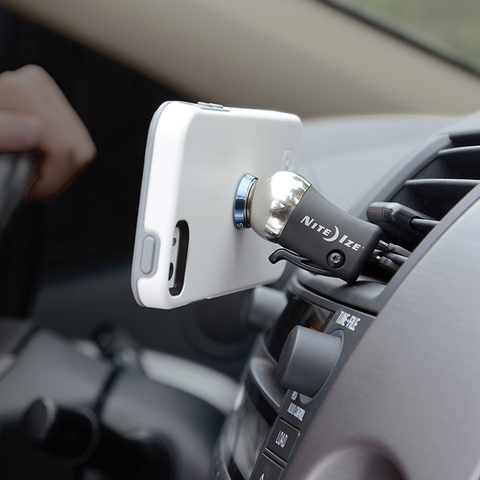 It consists of two simple components: 1) a Steelie Magnetic Phone Socket that adheres semi-permanently with 3M® VHB® foam tape, either to the back of your case or to the phone itself, and 2) a versatile Steelie Vent Mount that securely clips to most vehicle vents, and is just as easy to unclip, so it can be used in multiple vehicles. 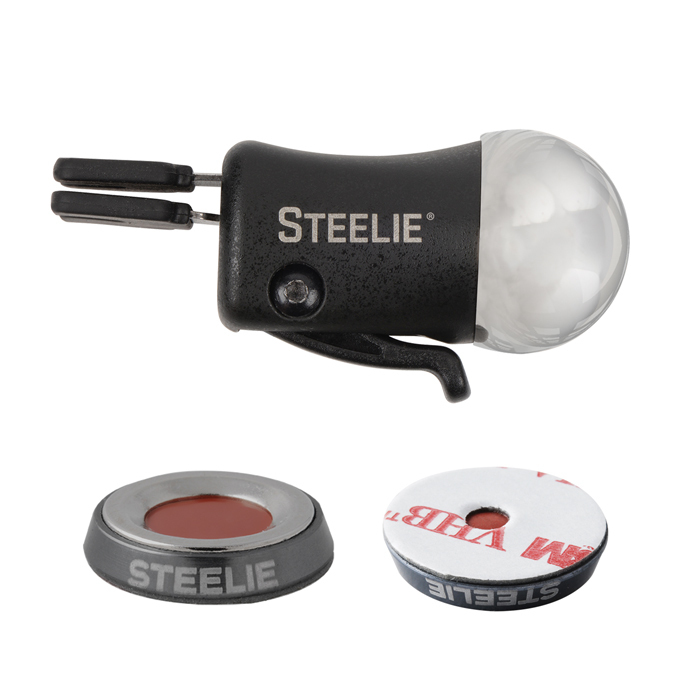 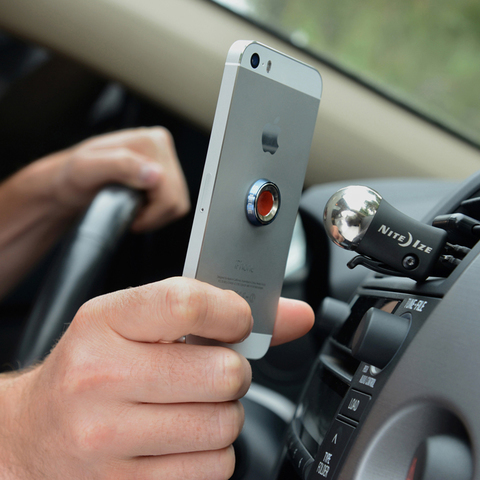 The Steelie Ball&apos;s round shape allows radiant positioning options, so you can tilt your phone to any angle, and the strong magnetic attachment of the Steelie Phone Magnet Socket keeps your phone securely in place and where you need it.